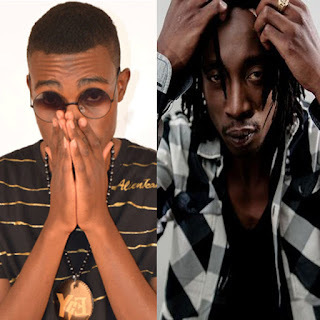 Over the past few days the Zim Hip-Hop community has been awash with a controversial article that appeared in the H-Metro with a headline that read, "Junior Brown's music is old: Scrip Mula". What the actual f#@k was going on? 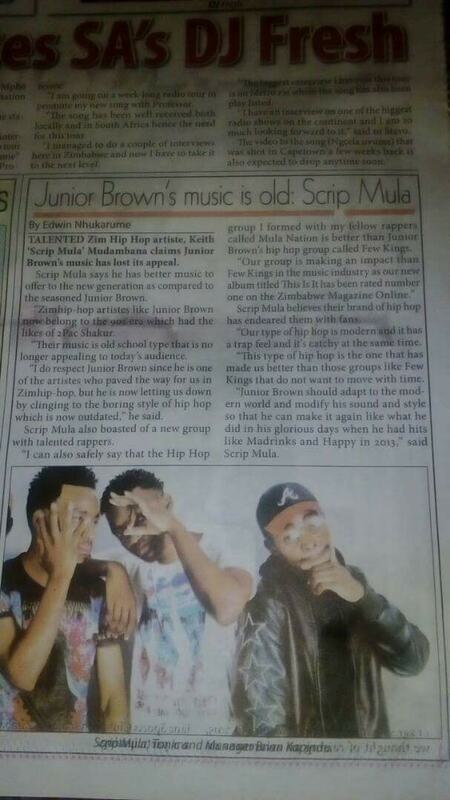 According to the article Scrip Mula said that Jnr Brown's music was now outdated and does not appeal to the current audience. He also went to say that his newly-formed group has made MORE impact in the music industry than Few Kings. Those are pretty bold statements from someone who is on the come-up. Above is the article in all its, errrmm, glory and below is a comment made by Dodger, a blogger for Shona Boy Conglomerate and an avid music fan. People had more than a few choice words for Scrip Mula who responded in the comments with the statement. The Few Kings Twitter account also responded to the article with a line from their new album #TFAF2. An interesting revelation was cited by Dodger in the comments section though. This means that it is NOT fake news that the reporter in question had an interview with Scrip Mula. I think that the fake news allegation would hold water if the reporter had not had ANY interview with Scrip Mula. There is a half truth being told by Scrip Mula here. For someone who doesn't care what people think he sure is doing the most about reminding us about it. My working theory is Scrip was hit up by the journo in question for an interview, which he conducted while intoxicated, leading him to blurt out some not-so-subtle comments, which the journalist ran with. When the article and the backlash from Jnr Brown's and Few Kings' fans and sympathizers started he then chose to run with fake news allegation. What also raises eyebrows is that while Scrip is labeling this as FAKE NEWS he has taken NO STEPS to sue the publication in question or get them to issue a public apology or retract their article. The reporter in question is Edwin Nhukarume, a reporter for H-Metro, who holds a qualification in Mass Communication & Journalism. One wonders why he would risk his reputation and tarnish the image of his employer (H-Metro), just for fake news? He of all people would know the implications of such. It just does not add up. Mr. Nhukarume was not available to share his sentiments towards the authenticity of his article. Hip-Hop has been known to have rappers with larger than life egos but could this be a case of Idols Become Rivals gone horribly wrong?